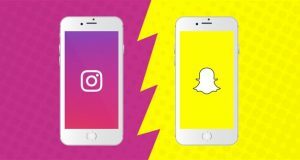 Kantar TNS study reveals that 73% of connected consumers in Malaysia are active on Instagram while only 37% uses SnapChat. 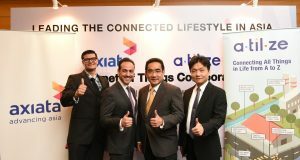 Axiata is collaborating with Atilze Digital to pursue Internet of Things (IoT) opportunities, initially focused on connected car solutions & LoRa network. 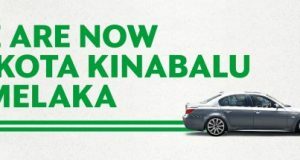 GrabCar service now available in two more cities of Malaysia: Malacca (Melaka) and Kota Kinabalu (Sabah). RM5 off Merdeka promotion. Digi will be investing more than RM250,000 in equity funding in GrabGas, Local Usher and Vase. 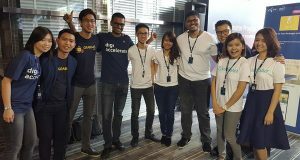 Each startup will receive up to RM100,000 from Digi. 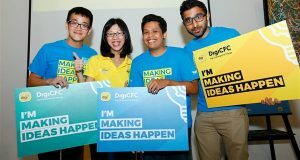 Digi Challenge for Change (DigiCFC7) winners went home with RM5,000 in cash each. The grand prize winner will take home RM50,000. Opera VPN for iOS, free download. Choose from five virtual locations to surf from: USA, Canada, Germany, Singapore and The Netherlands. GrabCar Incredible RM1 Ride Promo, enjoy rides at RM1 for the first 5km if pay via credit/debit card in the Klang Valley and Johor Bahru. ezyCourier Malaysia allows peer-to-peer parcel courier service using mobile app from as low as RM6 with a 2 hours delivery time frame. Malaysians can now browse 11Street and buy from Central Market retailers, ranging from home & living, fashion, sports & leisure, electronics, groceries. 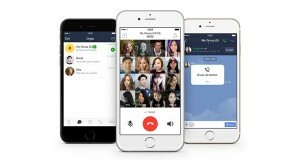 LINE app now with group call feature, enabling users to participate in voice calls within their group or multiple person chats. Free 2-months of iflix subscription with Celcom, after that enjoy iflix at a special rate of RM9 per month. 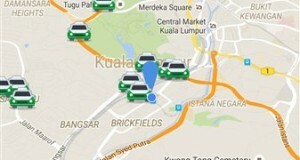 6 things I don't like about Grab, the taxi & private car booking app. 5 things I like about Grab, the taxi & private car booking app available in Malaysia, Singapore, Thailand, Vietnam, Indonesia and the Philippines. 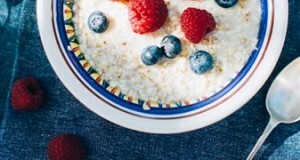 LINE's Foodie is a new camera app available for free on both iPhone and Android devices, dedicated to taking food photos. 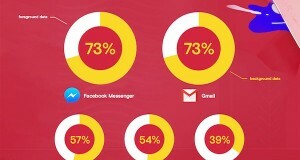 Opera Software revealed that Facebook Messenger, Gmail, Google Drive (GDrive) & Whatsapp uses a lot of background data.